Feeling tired? Stressed out by work? Need a break from your routine, and to get away from everything else, if only for a short while? Or perhaps you just want some time to yourself and your favorite book. 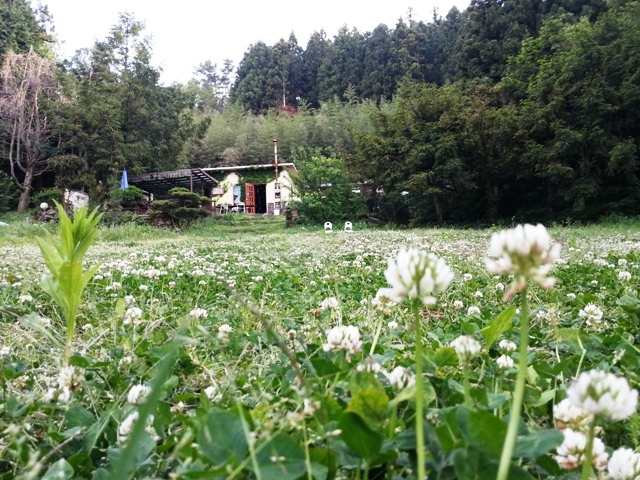 Well, if that’s the case, let me take you to a quiet sanctuary lying just outside of Jeju City, where all who come find something special and leave feeling refreshed and healed. In the far corner of Sancheondan along the 5.16 Road, where centuries-old towering pine trees stand watch over all life in the vicinity, lies a quaint, little yellow house covered in climbing ivy. On gloomy winter days, warm orange light glows from within while white smoke gently billows from its chimney. Here, hordes of magpies chatter enthusiastically from among the surrounding trees every twilight. Time seems to take a rest here as you temporarily retreat from your daily life. Up the stone steps towards the little cottage, kittens chase one another across your path while another awaits you at the entrance. 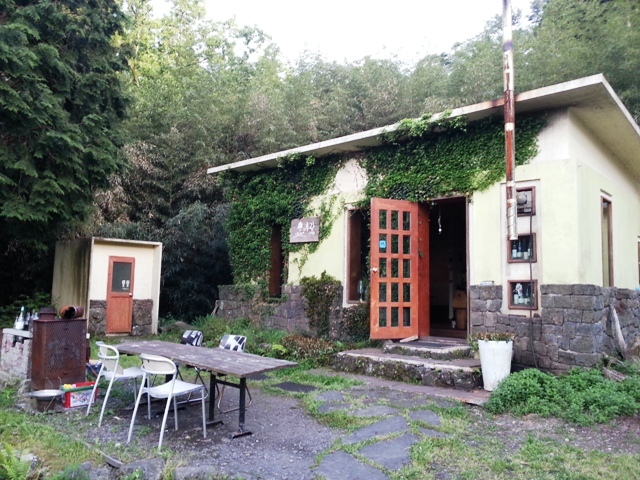 This is Baram Cafe, where beyond its red wooden door, a warm cozy room filled with wooden furnishings and an old-fashioned charcoal heater, gently exudes a rustic charm. In this bric-a-brac cabinet of a room, plushies and knickknacks line shelves of classic literature and comics, among which is an ancient-looking typewriter that never fails to fascinate every kid and adult who visits the cafe for the first time. The cafe is perfect for coffee lovers. From a little chalkboard menu hanging below the counter you can choose your caffeine from a selection ranging from the mild notes of the Ethiopian Yirgacheffe to the strong punch found in the Kenya AA. Leave your worries behind as you wind down with a book and sip from a cup of delightfully aromatic freshly roasted coffee. 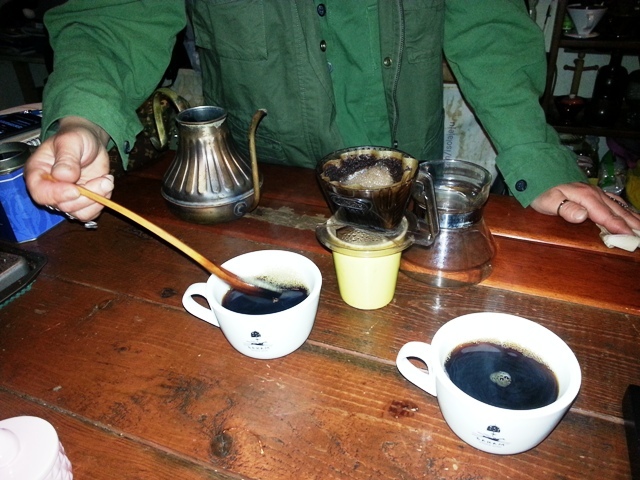 These exceptional hand-drip coffees are made from coffee beans freshly roasted in-house by the owner, Hyun Ye-Ji. Her insistence in serving nothing that doesn’t pass the test of her own fussy palate ensures that your tongue gets to enjoy the drink as much as your body enjoys the environment. In fine weather, take your cup outside and enjoy the fresh air that the surrounding forest affords. Overlooking the oldest black pine tree in the country, the feeling of being fully immersed in nature refreshes the spirit and calms the nerves. Not just for those looking for a perfect hideaway or a perfect cup, owner Hyun Ye-ji expresses that this place is meant to be a ‘playground’ for all. She wants Baram Cafe to be a place where anyone can come to relax and enjoy their time before moving on with other things. Families with kids enjoy this place, the kids are free to entertain themselves with toys and drawing books in the cafe, while parents chat over a satisfying cup of coffee. People who don’t like reading books will find whole sets of comics and picture books available. Book lover, nature lover, coffee lover or not, there is something for everyone. How about if coffee isn’t your drink of choice? The other drinks on the menu are no lower in quality nor less popular than the cups of java the cafe is famous for. Real chocolate goes into the Real Hot Chocolate, freshly squeezed lemon juice in the lemonade, and the seasonal mojito is made from mint leaves freshly picked from the cafe’s garden. Camus, the resident cat named after the French writer, Albert Camus, is the living mascot of the cafe, a familiar face to all the cafe’s patrons. Recently, she has had another litter of seven fluffy kittens, little bunches of cuteness that will send any cat lover squealing in delight. Cat lovers are also a part of Baram’s constant pool of returning visitors. If you are not allergic to cats, just coming here to fuss over these babies alone can be a great source of healing for stress and anxiety. 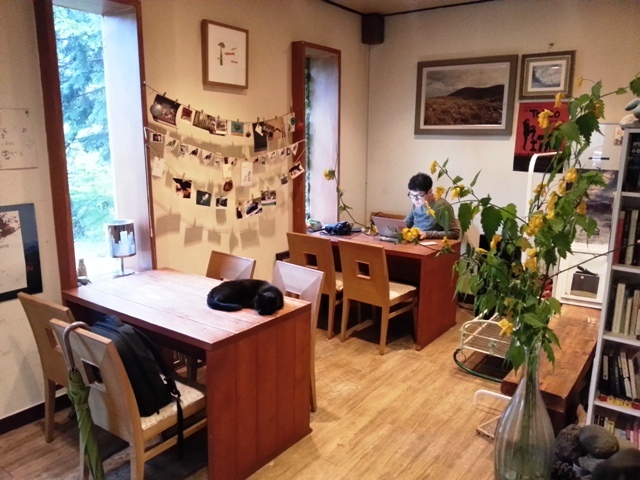 When asked about the best thing about running a cafe in the remote Sancheondan, owner Hyun Ye-ji smilingly replies that this place has produced six couples in her eight years here. These couples met here, got married, have children, and bring their kids back here to the place where their stories started. And they keep coming back, as their kids grow up, it’s like the cafe continues to live out their stories with them, walking through the passage of time together. 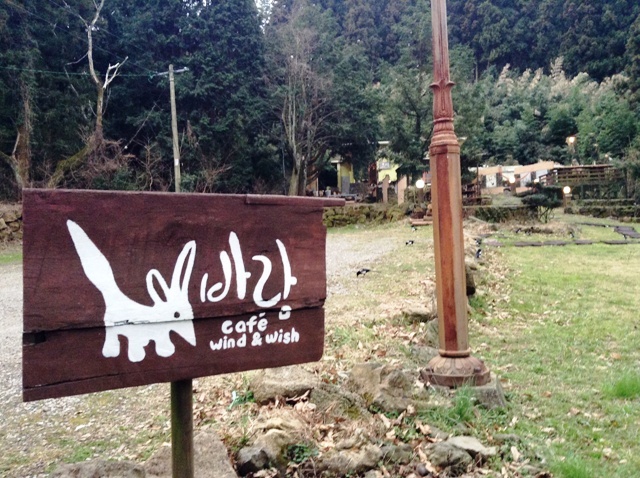 Such is the story of the Baram Cafe of Sancheondan in Jeju City, a special place you have to experience for yourself. Healing coffee is served 12 p.m. to 9 p.m. from Tuesdays to Sundays, ranging from 6,000 to 8,000 won.